This week has brought me back to the place of continuously thinking of life, death, heaven, and relying fully on God’s strength. As another dear family member fights for life I keep thinking of heaven’s cheerleaders. I reminded our loved one that many people are praying and that he has a cheerleader in heaven, my dad. A single tear came from our loved one laying there unable to communicate with me. Little movements of his fingers at mine, a small nod of the head, “yes”, and the single tear were the signs given that he was still there and listening to my words. The thought of heaven’s cheerleaders has overwhelmed me over this past year since my own father’s death. There is a humbling gratitude I feel for the blessing of being the offspring of a legacy of Jesus followers and having come to my own personal decision to follow Jesus. I know who is on my side and I am on the winning side. I am never alone. 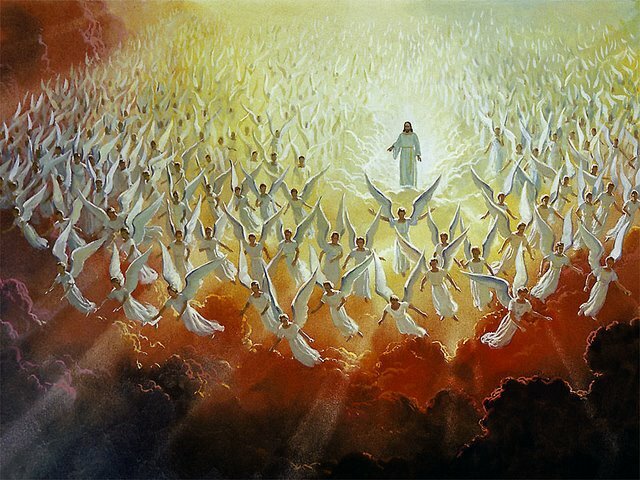 There are many saints who have gone on to be with Jesus who are cheering in heaven. God’s angel army is cheering and fighting for and with me. Best of all my greatest cheerleader, Jesus Christ, who fought my battle over sin! How awesome it is that when I feel darkness of sorrow trying to swallow me whole I just cry out to Jesus and joy overcomes the dark. The light of Jesus stomps out every hint of the darkness of despair. With God all things are possible and I am watching and waiting with great anticipation to see how God is going to answer my prayers in the next days and weeks. I can not imagine living life without Jesus and without my cheerleaders in heaven!!! Is Jesus your cheerleader or are you trying to rely on your own strength to get through this life?